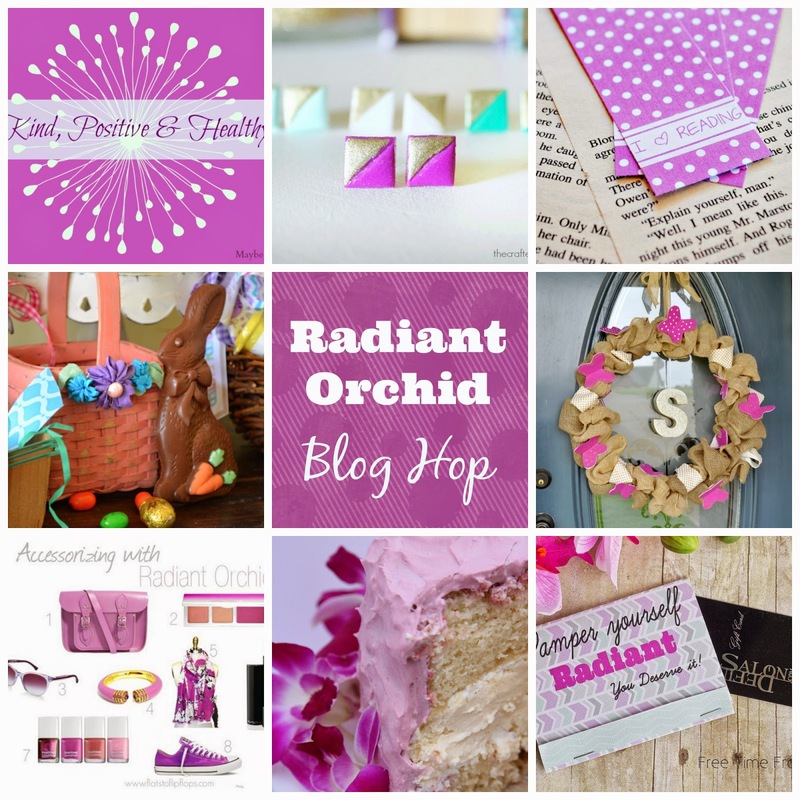 Pantone’s color of the year is Radiant Orchid, so what better way to celebrate APRIL and SPRING than a Radiant Orchid blog hop?? It’s no secret that I LOVE cheesecake – have you missed my cheesecake obsession? Check it out here or here or here or here or here! YES, it’s safe to say that I LOVE CHEESECAKE. So for my Mom’s birthday she requested a coconut cake (HEIDI BAKES is where I found the recipe that I love). No, I’m not the biggest fan of coconut, but it wasn’t my birthday, so I humored her. I even made the frosting her favorite color – or close to it – and added some fresh flowers. And OF COURSE there’s Cheesecake inside. Please. Cake adapted from HEIDI BAKES – she is amazing!!! Mix all dry ingredients together in a very large bowl. Add the rest of the ingredients and beat on a low speed for 2 minutes. Beat in vanilla extract and salt. Cut parchment paper in a circle and line the bottom of the cheesecake pan. Wrap bottom half of pan in foil – Do this TIGHT – no one wants water in their cheesecake! Bake until just set in center, about 45 minutes. Remove outer ring of cheesecake pan, but leave metal bottom. Wrap in plastic wrap and freeze. Add blue and red food coloring until desired color is achieved. Place one layer of cake on cake stand. Frost top with a thin layer of frosting. Remove cheesecake from freezer, unwrap, and remove metal bottom of the pan, then peel off parchment paper. Place cheesecake layer on top of the cake. Place top layer of cake on top of the cheesecake, and coat entire cake with a layer frosting. Refrigerate until ready to serve. Your cake looks delicious! I also love cheesecake. I have never combined my layer cakes with a cheesecake and I’m not sure why. I’ve eaten such combinations at Juniors Cheesecakes and Cheesecake Factory and loved it. Although I do love coconut, I rarely bake with it because nobody in my family likes it. Tragedy. Thanks for the link to your blog. I will be checking back! I tried to become a follower via email only to learn you no longer accept subscriptions with email. How can I follow you.